We’d love your help. Let us know what’s wrong with this preview of The Tides of Avarice by John Dahlgren. To ask other readers questions about The Tides of Avarice, please sign up. 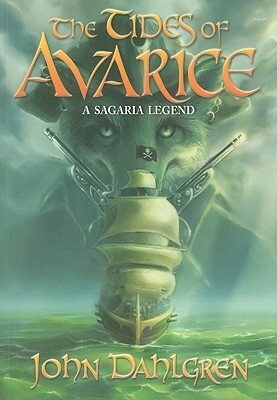 Tides of Avarice by John Dahlgren is a quirky, swashbuckling read - an original combination of pirates, treasure maps and lemmings. Sylvester Lemmington is our hero, a timid, serious lemming who works as a translator for the head archivist at the library. The love interest is Viola, a pretty, feisty lemmingess who merrily leads Sylvester into trouble, along with his treasure map. 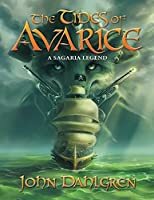 Add a missing father, Jason, who took part in the last great lemming Exodus, from which mysteriously none returned, m Tides of Avarice by John Dahlgren is a quirky, swashbuckling read - an original combination of pirates, treasure maps and lemmings. Sylvester Lemmington is our hero, a timid, serious lemming who works as a translator for the head archivist at the library. The love interest is Viola, a pretty, feisty lemmingess who merrily leads Sylvester into trouble, along with his treasure map. Add a missing father, Jason, who took part in the last great lemming Exodus, from which mysteriously none returned, many years ago and a whole host more slightly off the wall characters, plus of course an original plot, and you have a very entertaining, enjoyable book in your hands. There is plenty of skulduggery going on, and not just from the pirates. The lemmings and other animals share all our human characteristics, including the less wholesome ones, so there is a layer of social commentary buried in the humour. I read this with my ten year old - neither of us quite in the intended YA audience - but it’s hard to say which of us enjoyed it more. I could pick up some of the humorous subtleties of the writing that he missed but he could clearly imagine every single scene going on in his own head. We were both hooked. Dahlgren, a Scandinavian by birth, has an incredible mastery of language and is a very, very clever, creative writer. The story twists and turns, with enough of the extreme and ridiculous to keep youngsters engrossed and adults chuckling. This book is a like a stiff, salty sea breeze blowing through a library, waking fiction up. It’s brilliant! I really enjoyed this and feel like it's good clean adventure for a slightly younger reader than YA. This author adds new excitement at every turn to keep the attention of readers - and perhaps reluctant readers and boys - in a way that is refreshing! I'm a pirate librarian! Yay! They finally get it! I really enjoyed Tides of Avarice. It's a good book for people who like a good pirates tale. Definitely one I would recommend. This was a random find at a library convention. I was pleasantly surprised, but sometimes I thought it would never end. Other than that it was great for anyone looking for a long pirates tale. Surprisingly fun book. Solid 3.5 stars. Pirates and Lemmings?! It makes for an interesting read! Sylvester is the main character, he's a Lemming. He's a translator in the library archives. Very shy, quiet, soft spoken; but he yearns for excitement and adventure! Viola is the girl (lemmingness?) that Sylvester dotes on. She's fast, pretty, athletic and loves adventures. She also seems very fond of Sylvester. Sylvester's father was part of a Lemming Exodus years ago. Ever I received this book from NetGalley in exchange for an honest review. Sylvester's father was part of a Lemming Exodus years ago. Every so often, lemmings are chosen to go on an Exodus, it's to go find new things, but so far none have returned. Once a pirate stumbles into the quiet little town of Foxglove, nothing can ever be the same for Sylvester again. He ends up with a coveted pirate treasure map and suddenly everyone is after him. This was a delightful story! I enjoyed it and I think that younger readers would enjoy it also. For younger readers, it's a great story and easy to picture. For older readers, I think they'll enjoy the undercurrents of emotion and things not quite said. Pirates, Treasure, Mystery and Lemmings...where could you go wrong!! This was a wonderfully fun and exciting read! It was very well written and perfect for young readers. It was engaging and interesting throughout. A truly imaginative story that had me wishing for more!! Sylvester is great and I love his gal Viola! So many wonderful quirky characters. You might think this story has alot going on but it isn't too much to follow. One can only hope this is the beginning of a series!! Cover Art - Amaz Pirates, Treasure, Mystery and Lemmings...where could you go wrong!! This was a wonderfully fun and exciting read! It was very well written and perfect for young readers. It was engaging and interesting throughout. Cover Art - Amazing!! I love this cover. As imaginative and creative as the book! Very eye catching and perfect for the story. Would definitely catch the attention of a young reader and their parent. John Dahlgren is a Psychologist and an award winning author. He has been working as a marketing director at a pharmaceutical company in Switzerland since 1998. He's also an adjacent lecturer of the Royal University in Bhutan where he teaches creative and fiction writing. Born in Stockholm, Sweden, he grew up close to the vast and untamed nature of Scandinavia and became influenced at an early age b John Dahlgren is a Psychologist and an award winning author. He has been working as a marketing director at a pharmaceutical company in Switzerland since 1998. He's also an adjacent lecturer of the Royal University in Bhutan where he teaches creative and fiction writing. Born in Stockholm, Sweden, he grew up close to the vast and untamed nature of Scandinavia and became influenced at an early age by the Nordic sagas, fairytales and mythologies. This environment triggered his imagination and inspired him, to later become a fiction/fantasy writer. He has studied creative and fiction writing at Oxford University where he earned high praise for his work. He has won numerous awards as well. Appart from being mainly a satire writer, he's mostly known for his fantasy series set in the magical world of Sagaria. Besides his research work; he is now engaged in several book projects, for both younger readers and adults. He's also a script writer and composer.